Pamela Colman Smith's artwork was pumped up with vibrant colors by Frankie Albano. The deck was originally published in 1968 and went out of print just a few years later. 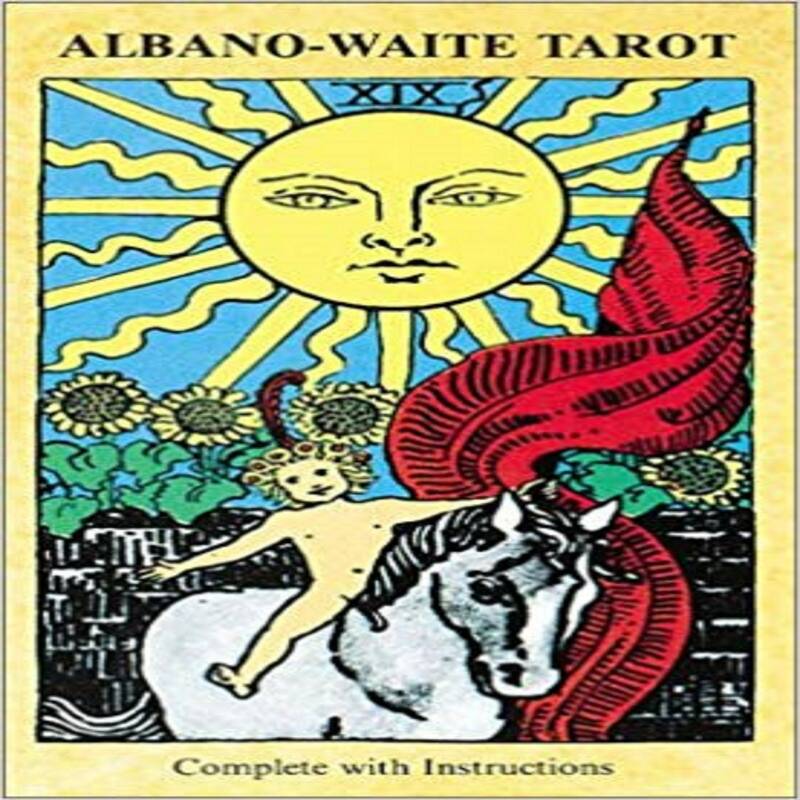 There was sufficient demand for this deck so U.S. Games Systems re-issued a facsimile deck from the original in 1991 and it has remained a staple for tarot collectors since. The colors are bright with lots of purples and greens, which help readers focus on details they might have otherwise missed. The background of the Minor Arcana are color-coded. The Cups feature light blue-green, the Wands are orange, the Pentacles lime green, and the Swords yellow. This is a vivid deck that appeals to those nostalgic for the psychedelic sixties or who appreciate the "wow" factor. Excellent customer service. My package was mis- delivered and UPS was not able to recover it. Seller quickly replaced my item. Thank you! In love! Thank you for selling such great decks! !